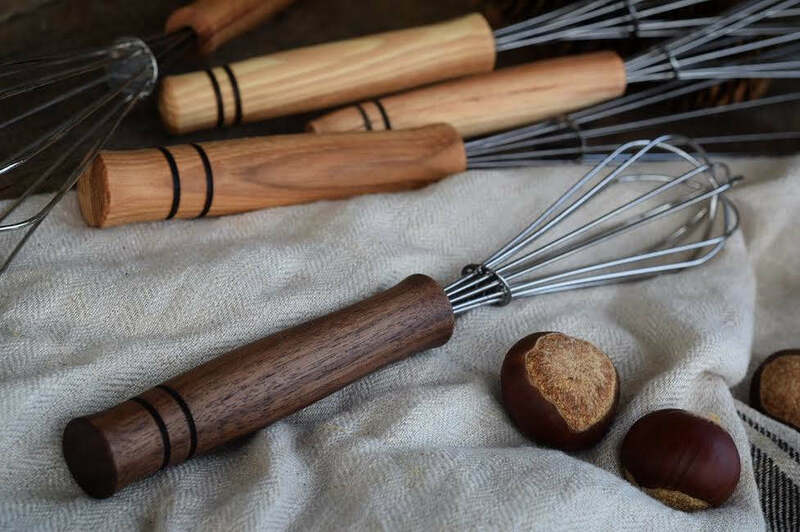 Each handle is handmade from a solid piece of high quality hardwood, and finished with a food safe walnut oil. They are sold individually for cooking and baking, or as a set of three (including one of each.. small, medium, and large). As with all wooden utensils some care will be needed. If the handle becomes dry you can recondition the wood by applying a small amount of food safe oil such as walnut, linseed, or butcher block oil.